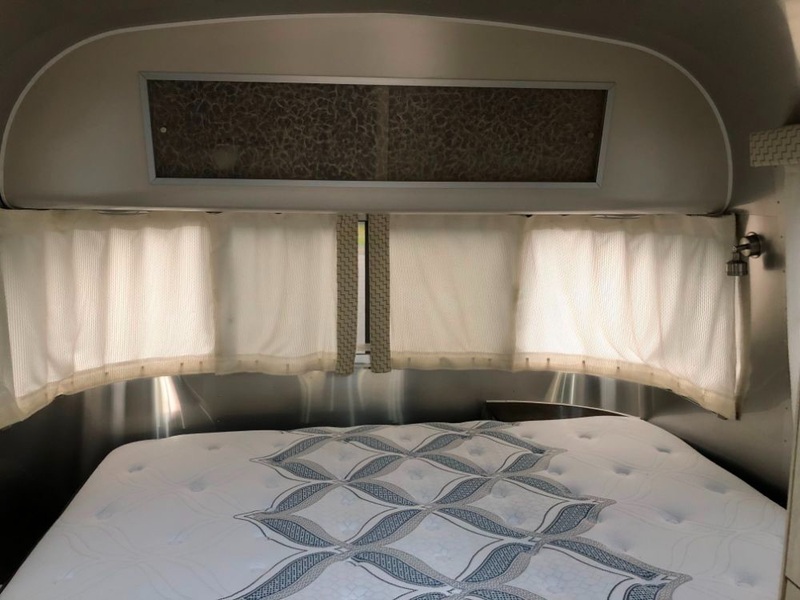 For Sale by Owner a beautiful 23FB (23 foot Front Bedroom) International Serenity Airstream travel trailer. 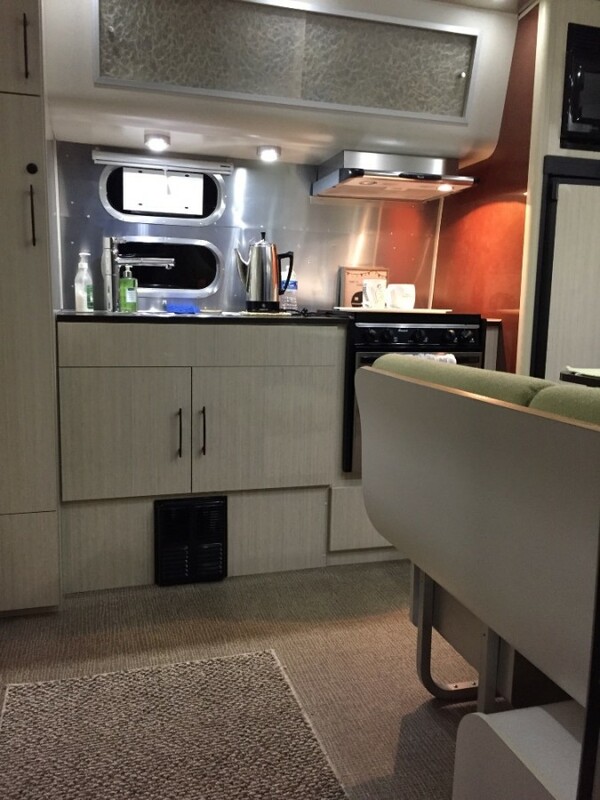 This International Serenity travel trailer 23FB is the perfect unit for a smaller family or couple. 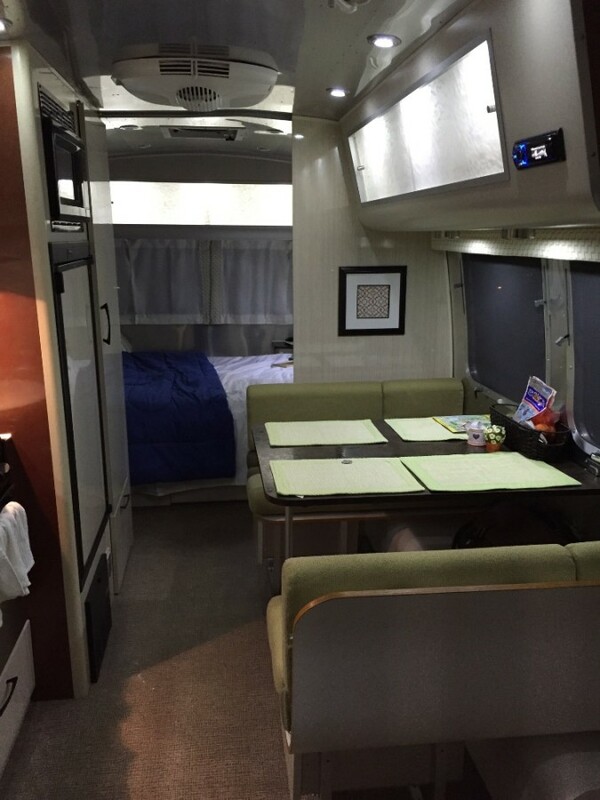 You will enjoy the rear bath layout, and front semi-private bedroom space. Straight ahead through the door find a kitchen that begins with a pantry for food storage, a round galley sink for cleaning up and food prep, plus a three burner range for cooking up light meals and snacks. The 5 cu. ft. refrigerator will keep all of your perishable foods from spoiling, and you can dine comfortably seated at the u-shaped dinette/bed to the right of the door. 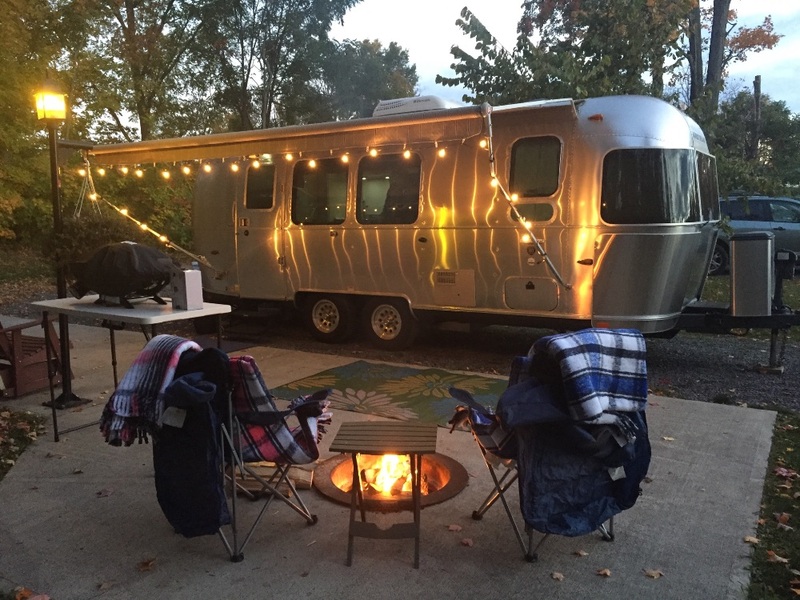 When not in use, it can become added sleeping space for one more guest at night. 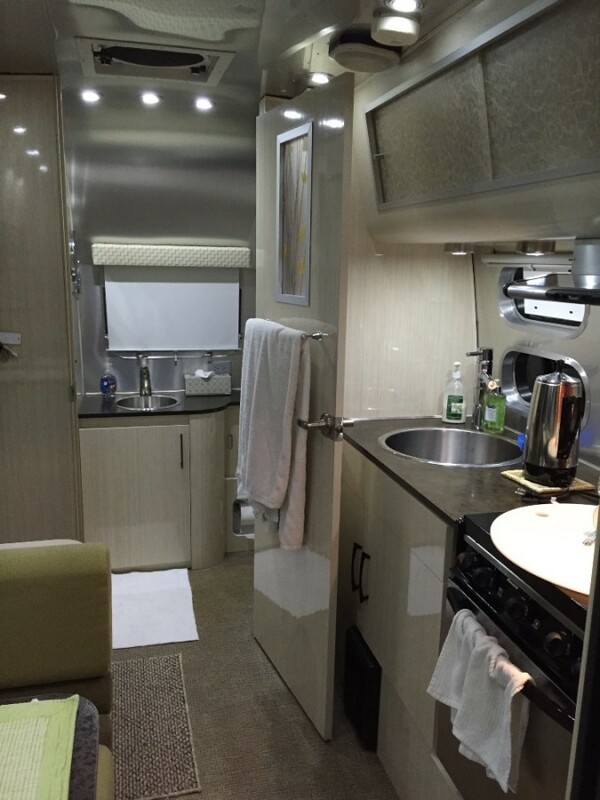 In the very front you will find two wardrobes, one on either side of the trailer. The wardrobe along the curb side features drawers. Also along the curb side you will find a queen size bed and a nightstand. There is also an LED TV to enjoy, plus so much more! 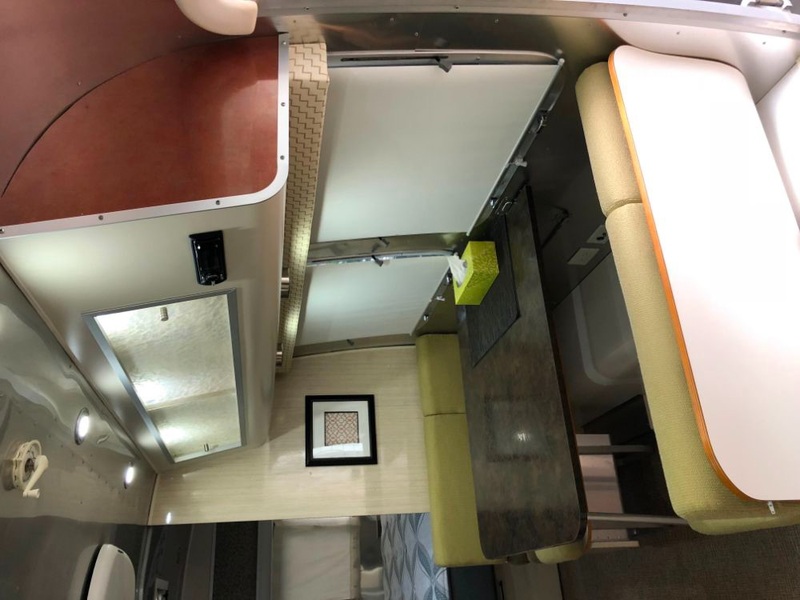 The airstream features custom pantry shelves & custom window treatments. The Air Stream has been kept in a garage and out of the sun, two brand new batteries were installed last season. Also I installed a winterization kit at the main pump for easy winterizations. This Airstream is in excellent condition, the trailer gets cleaned and Walbernized every season (most years twice). 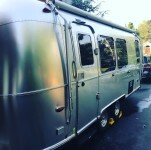 If interested I could sell hitch and all accessorizes with trailer. 2012 Model has updated LED lighting, ceramic toilet, upgrade rear bumper.